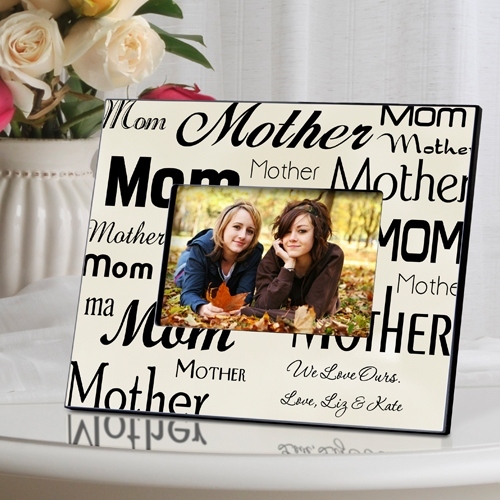 * This attractive frame is a warm addition to any room in the house. 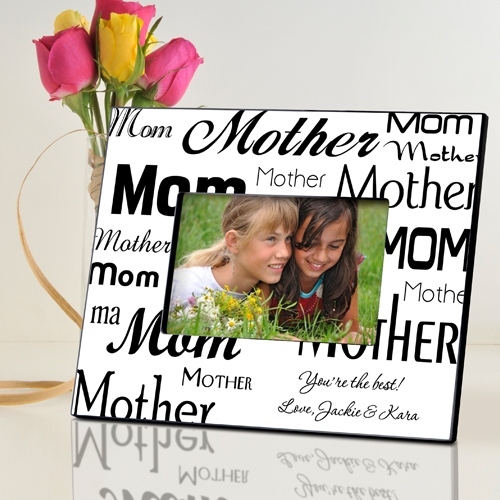 * Featuring the words "mom" and "mother" in a variety of font styles, this personalized frame call attention to the special lady in your life and provides space for a personalized message to tell her just how much she means to you. * Holds a 4" x 6" picture.